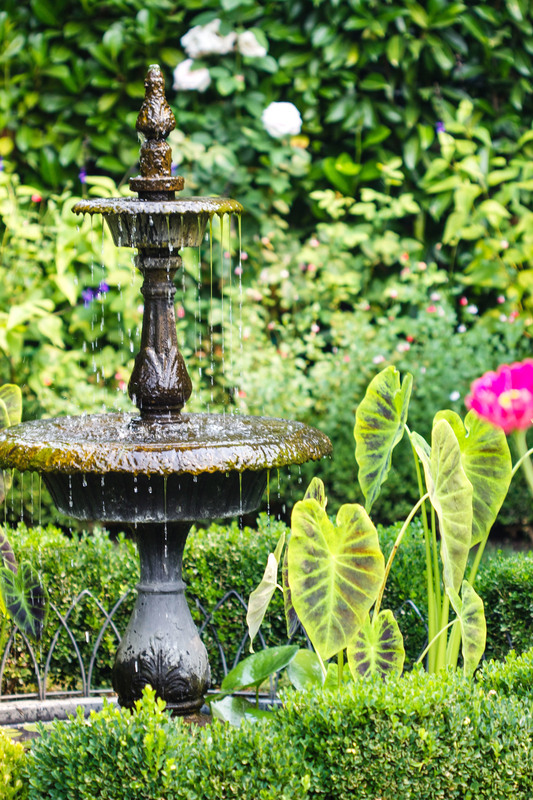 You don't want to miss the HPSO and Garden Conservancy tour this Saturday, August 29th! I tagged along with a small group of local garden bloggers to take a sneak peek of three of the five gardens that will be on the tour. Half of the proceeds will go to the Hardy Plant Society of Oregon's grants and scholarships funds; a great cause. The garden that I co-organize, The Hazel Dell School and Community Garden, received a much needed $1,000 grant from the HPSO to update our greenhouse and outdoor classroom this year. Our first stop was Nancy and Gordon Prewitt's thirty-five year old garden. I fell hard for their vibrant vegetable garden. Just look at it! 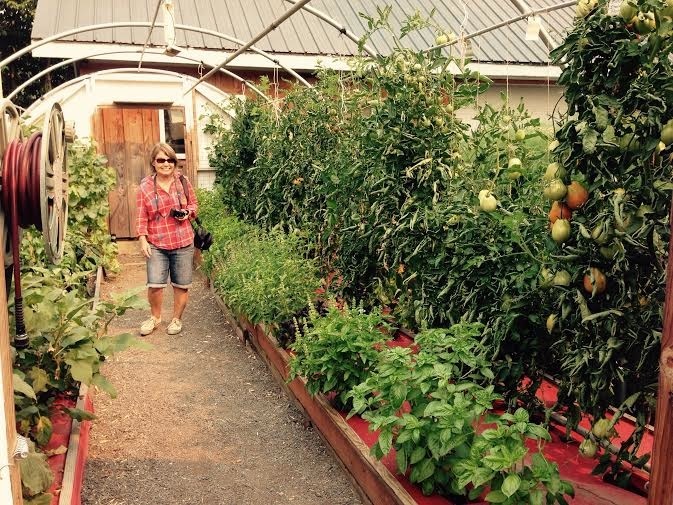 My friend Linda, who blogs at WhatsitGarden, smiled at all the happy peppers and tomatoes. Gordon showed us his well tended mason bee homes. 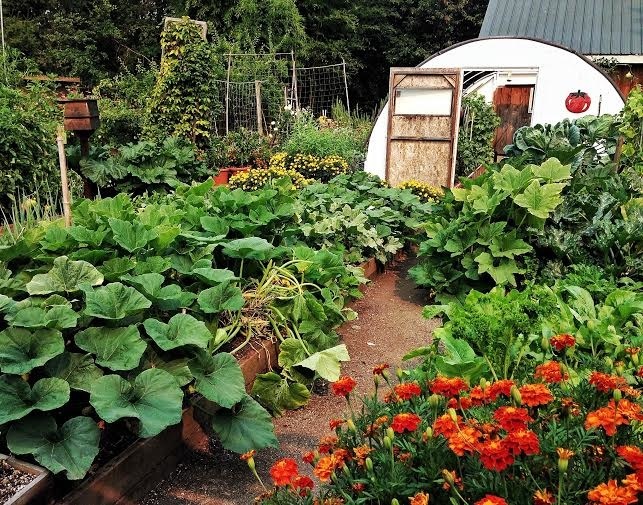 His garden produces food year round and he donates his excess to local charities. The Prewitt Garden was also filled with beautiful ornamental vignettes like this. There was so much to see and explore. 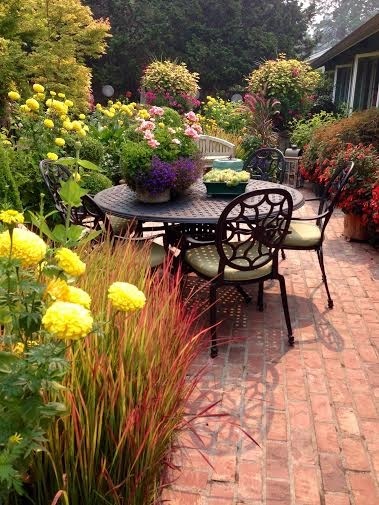 Next up, was Christine and James Mitchell's garden. Pulling up to the curb, I was struck by Christine's plant combinations. 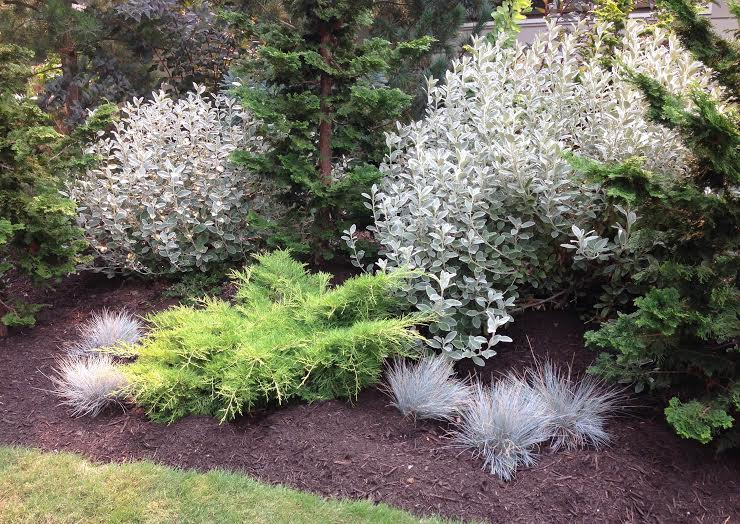 Her use of conifers and bold plant combinations made her garden a treat to explore. Christine carefully selects plant combinations and James builds all the hardscaping. They make a great team. They've built an oasis of raised beds and paths under Douglas Fir trees. This is a pairing that I've been considering, and now I simply must add it to my garden. Game of horse shoes anyone? A great touch for their grandkids. Our last stop at Zachary Baker and Leon Livengood's garden named Winchester Place Garden captured my imagination. I felt like Alice in Wonderland exploring the classically restrained garden filled with bright joyful blasts of colorful annuals. Here's a view from one sitting area towards the fountain. I loved the thoughtful layout and playful contrast in this garden. If you live in the Portland area, I highly recommend checking this tour out. 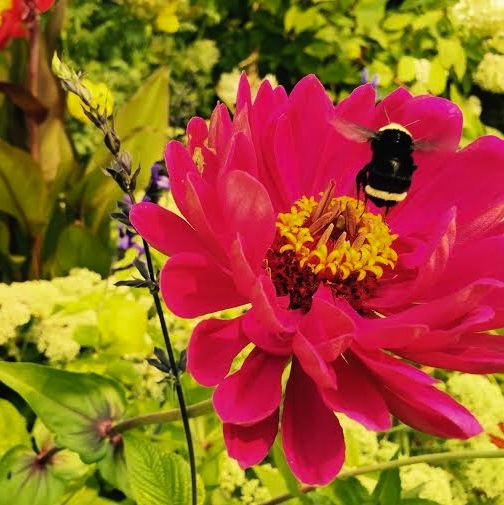 Thank you so much to the garden owners for allowing our small merry tribe of garden bloggers in to explore their beautiful gardens. 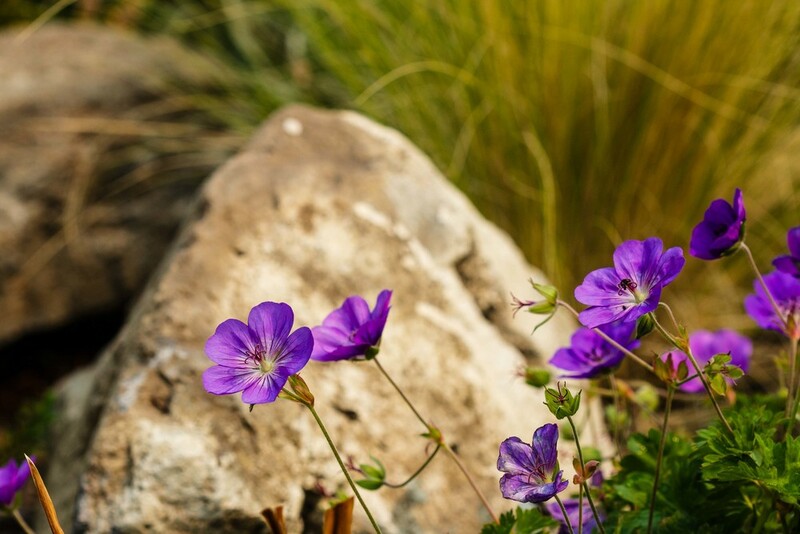 The HPSO and Garden Conservancy Tour ticket information is here.